150 florists gathered in Leicester in April 2018 to debate the latest trends and issues for their industry, as well as to share learning and build solidarity in the face of common challenges. Brexit and GDPR were, predictably, hot topics. 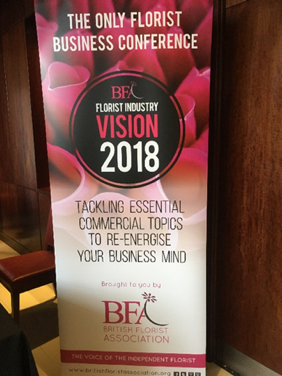 In addition though, another theme has noticeably been making its way up the agenda since the first of these British Florist Association (BFA) Vision Conferences in 2015. This is the ‘growing’ interest in ethical and sustainable flowers. 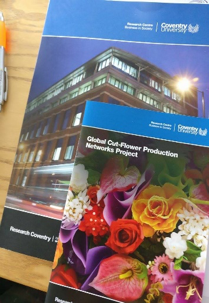 As Co-Lead of the Global Cut-Flower Production Network project with Dr David Bek, which coordinates a series of projects on sustainability and social responsibility in the flower industry, this has been fascinating to observe and reflects some of our key research themes. I have been investigating flower supply chains for over ten years. This has involved regular contact with the BFA, but as a key note speaker at Vision 2018, I could address some of their most engaged and influential members directly. I was grateful for my warm reception, and of course, could not resist using the opportunity of so many florists in one (very big) room, to gather some data too. What these florists had to say resonates very clearly with our ongoing research and industry changes evident in the last decade. Four particular points are of note for understanding local responses to the global challenge of sustainable supply in flowers and beyond. I have interviewed florists throughout the UK over a number of years, and a typical response would be that they do not buy stock on ethical criteria as they are not asked about it by customers (Timms, 2012). The key determining factors reported, were mainly price, quality and the particular variety. These factors remain central. However, florists now report that consumers are asking more questions about the flowers they sell, such as: where they are from, their carbon footprint and even whether they have achieved any environmental and/or social certification. More than half of those who responded at Vision 2018, reported increased consumer interest. Previous BFA events have touched on the subject, including a Fair Trade talk and stalls promoting particular standards, but this year more than a third of guest speakers spoke about sustainability. This interest is slow growing though, with many of our public engagement activities still finding that people are more likely to think about where their tomatoes are from, than their flowers. Further evidence of sustainability creeping up the agenda is provided by the success of specialist florists promoting more ethical and sustainable flowers as their USP. 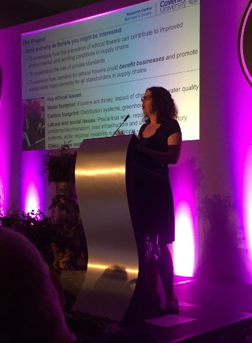 An example is ‘the Eco Florist’, Nicola Hanney, who spoke with passion at Vision 2018 about her florist’s Green Pledge. This commits to using sustainable, locally sourced or certified flowers, but she also appealed to her fellow-florists to ensure their shops, equipment and practices are sustainable too. The prevalence of plastic packaging, waste and the toxicity of floral form, were particularly highlighted. Certainly a trend towards less ‘processed’ and less ‘travelled’ products is evident for flowers as in other sectors, reflected in campaigns such as British Flower Week and the growth of initiatives such as Flowers from the Farm. Demand for ‘ethical weddings’ have had a special role in encouraging this market for flowers that claim to do less harm, indeed the Royal Wedding was heralded as an opportunity to accelerate a green agenda (Connolly, 2018). The nature of sustainability, of the floristry business and the product itself, all present hurdles to be jumped, if more sustainable production networks are to be championed. Firstly, there is contestation over what a sustainable flower is. Bek (2017) sets out three key issues in unsustainable cut-flower production, namely ‘water, waste and carbon’. Political and social issues are linked to these, such as land rights and working conditions, especially in newly developing countries where flower exports are increasing (Timms, 2017). So to florists, sustainability agendas can seem confusing and conflicting: should they buy uncertified but locally farmed flowers with few ‘flower miles’, or East African certified flowers supporting developing communities? Secondly, most florists are small independent businesses. We have a research team tracking developments in flower certification, but it can be overwhelming for individual florists. Indeed, a lack of transparency and misunderstanding regarding provenance and standards is a recurrent theme. Although farmers might invest in certification, this information can be lost along the chain so it is difficult for consumers to make purchase decisions based on ethical criteria (Timms, 2012). When I presented florists with an array of certification logos at Vision 2018, as in our interviews, the majority recognised few, and fewer still knew their content. The role of the supermarkets must also be considered. Despoudi, Lanari and Bek (2018) examined the rise of retailer-led certification schemes, which largely exclude florists. 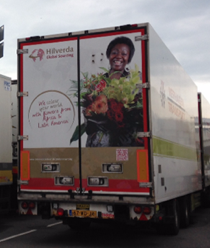 Developing in-house schemes is one of many ways supermarkets attempt to control the certification content and sustainable flower discourse. Finally, the nature of the product itself poses a hurdle. Florists are quick to recognise practical issues involved in promoting ethical and sustainable flowers. At a time when packaging is to be reduced, how can a stem or a bouquet made up of flowers with different provenance, be labelled? Unlike coffee, the label does not stay with the product in your cupboard. 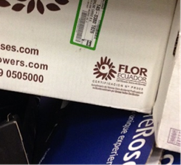 Also, how can florists ensure they pass on current information, when many wholesalers still misunderstand certificates? So even when more florists identify increased interest in sustainability, it is less clear to them how to pursue this. For the flower industry to prioritise sustainability, the benefits need to be clearer and pathways developed to work towards it. For florists we have identified a lack of knowledge as key. We are now liaising with the BFA to include sustainability as a topic in floristry training and to co-develop resources for florists. Many of the flowers they already sell are likely to be certified, so gaining value from sustainability standards does not necessarily require large investment but knowledge sharing with customers, careful attention to packaging and questioning of suppliers. We are also building up our Key Stakeholder Network, bringing together representatives from different parts of flower supply chains that do not usually come into contact with each other, through workshops and collaborations (see Bek, Bryan and Timms, 2017, for a report of our first). Ultimately, it is only by working together to ensure the value of sustainability is experienced by all parts of the supply chain, that lasting change is possible. This requires those with a stake not only to give voice to their problems and perspective, but also to listen and help overcome the problems of others they share the chain with. BFA Vision 2018 was held at the Marriott Hotel in Leicester on 28-29 April. The author is grateful to the BFA for the invitation and continued collaboration. 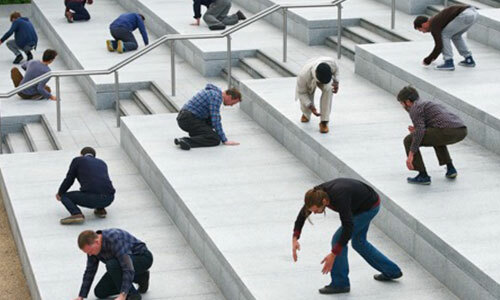 Research relevant to this project is funded by the British Academy/Leverhulme Trust. It forms part of the work being done by the Sustainable Production and Consumption Cluster within CBiS.